Looks like this book would be well worth reading for everyone who ventures forth on the World Wide Web, Coletta. Our younger generation today especially needs to know how their reputation can be damaged with careless remarks online. In fact, I have a teenage niece who lost her job because she made a negative remark about her boss on her Facebook page, thinking she was talking just to her friends. Thanks for this excellent review and reminder to be more aware of our online conduct. You're welcome, Elf. I've been concerned for a long time about the way some people act on the Web. Some people love to air their dirty laundry online and I shudder to think what will happen in their future when a computer can direct their fortunes and misfortunes. And, yes, think before posting. I have to agreed with your closing assessment. I, too, find it fascinating, informative and somewhat scary. I think many of us who were around for the first days of the internet have watched this phenomenon evolve from fun Pac Man games to life dominating, and often intrusive, media. Interesting you mentioned how it affects your relationship with your children. I was eating lunch in a restaurant earlier this week when I witnessed a mother go ballistic when her child spilled something and the need to take action interrupted her phone interactions. I, myself, wondered why the mother was so busy texting (or whatever) on the phone when she had her child right there at lunch with her. Instead of having a nice lunch together, it turned into a time of impatience and chastisement that frankly the child didn't deserve. After all, we can all drop food in our laps or spill a drink down our shirts. Excellent review as well as excellent food for thought! Cynthia, I've been online since the 1980s and have watched a lot of changes. Some good, some not so good. We're living in a world where it costs pennies to store high-resolution photos of every person in the United States. And, we have enough computing power to processes those petabytes of data in seconds. Sometimes I long for the days of a 3-1/2 inch floppy disk. Wow, pretty scary all right! Maybe I'll get offline. It is really easy to forget how much we are being watched. I suggested to my now grown nephew that he get rid of his former social media profile on a site no longer used because it reflected poorly on who he is now. He has matured and now holds a responsible job. I believe he has followed that advice. So many forget about those old profiles they made in their teens. I'm rather glad we didn't have the internet when I was growing up. Excellent article. I've been preaching this to my children (young men now) for years! I get rather exhausted hearing 'oh mawwmm' - trying to get them to realize this is a valid concern is difficult. 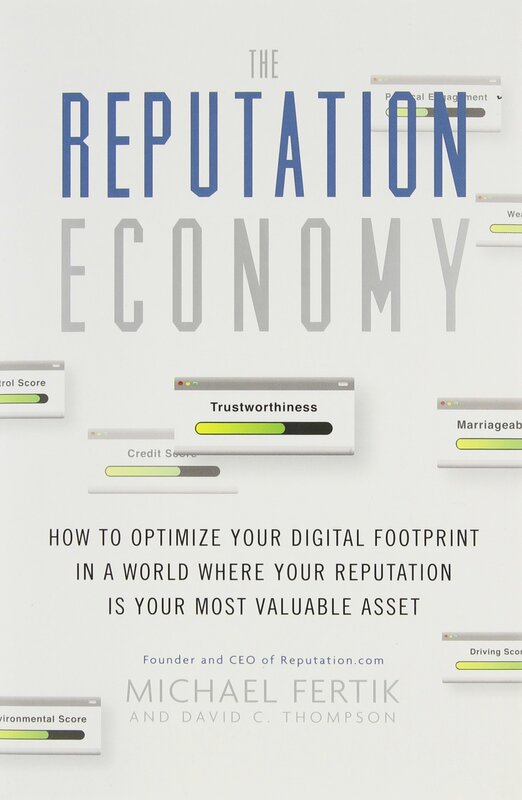 Online reputation has real value, and save and except haters and 'mean' sorts, I agree that it's imperative to tread carefully and responsibly. I've written an article on this subject myself (although your article provides some excellent resources!). Data mining is big business these days, and all the points you make are very real! I think we're going to see more and more about this topic in the coming months and even years. I'm making an effort to be online less and less, in part because of not knowing exactly who is watching and what information they're recording. In fact, I'm limiting my comments, even my "likes," on various topics that seem benign but could come back to bite in the end. Excellent article and review, much to think about here.